Economic inequality is the most pressing issue in the United States today, as we race to become a nation of billionaires and beggars. It is inherently unjust that while the productivity growth of American workers has more than doubled over the past two decades, incomes for the bottom 50 percent have stagnated, and for the bottom 20 percent, they have actually declined. For most Americans, there has been no recovery from the Great Recession, because 76 percent of income gains went to the top 1 percent. 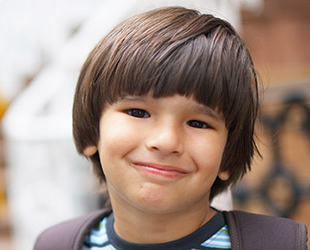 Inequality harms the poor and middle class, it harms the economy as a whole, and it harms the Social Security system as well. 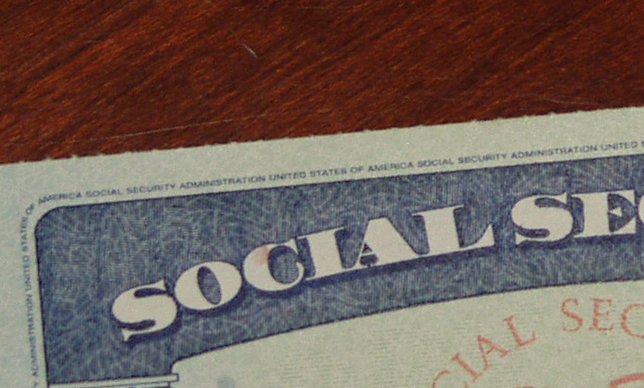 The damage to Social Security is a result of something many people are unaware of: the rich don’t pay as much of their income into the system as everyone else. Nearly every American worker is familiar with the FICA taxes that are deducted from their paychecks, but what many people don’t know is that only the first $118,500 in annual income is subject to the tax. Because of this cap on payroll taxes, someone who makes $1 million per year or $40 million per year pays the same amount into the Social Security system as a worker who makes $118,500 per year. This in itself is unjust. Why should the rich, who can well afford it, not have to pay their share? But it gets worse: giving high income earners a free ride, when combined with rising inequality, results in defunding Social Security, the bedrock retirement and disability insurance system that workers rely on. 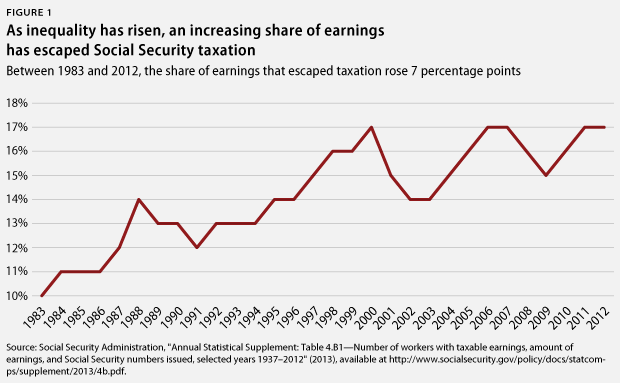 As a recent issue brief from the Center for American Progress shows, when inequality rises, a greater share of income escapes Social Security taxation. 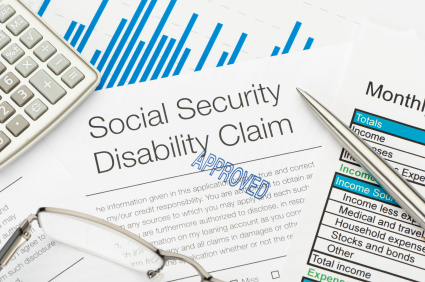 The annual report of the Social Security trustees found that if the cap were raised to cover 90 percent of earnings, more than one-quarter of the expected shortfall in Social Security’s trust funds over the next 75 years would be covered. Social Security is the most popular, most successful government program in American history, and it is on solid economic ground. It has a $2.8 trillion surplus and can pay 100 percent of benefits owed for the next 18 years, all without adding a penny to the deficit. However, income inequality and an unfair cap on payroll taxes threaten the long-term economic health of the system. At a time when two-thirds of seniors rely on Social Security for most of their income, we need to strengthen and expand Social Security. Senator and Presidential candidate Bernie Sanders has proposed a solution: scrapping the cap on payroll taxes and expanding benefits.